Home » Fancy a scoop with your paper? Amid the sweltering summer heat in the US Pacific Northwest, supporters of Portland street paper Street Roots have a delicious new way to rally round their hardworking local vendors. Thanks to a new partnership with luxury ice cream boutique What’s The Scoop?, Portlanders can enjoy five specially-curated flavours while boosting funds for advocacy and journalism. Street Roots Development Director Sarah Cloud, said: “Funds from projects like this are vital for the work Street Roots does. 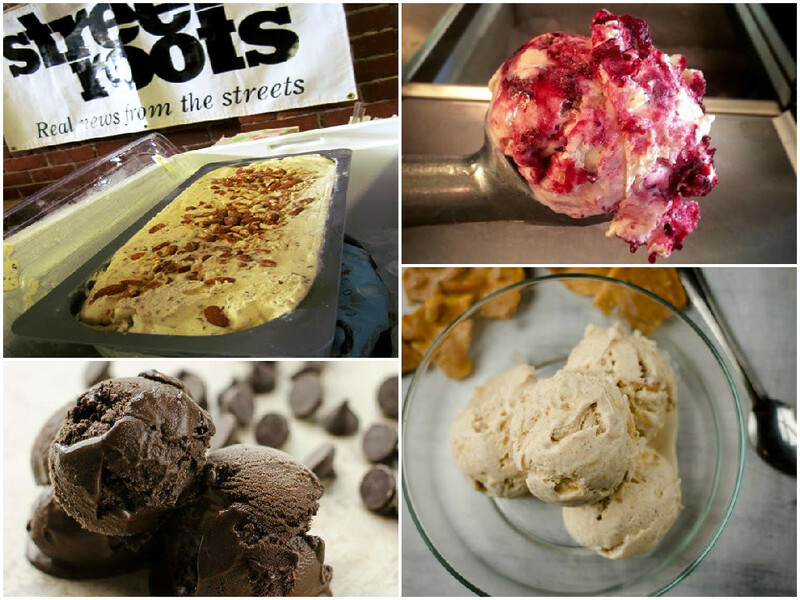 Sweet-toothed street paper advocates can pre-order their pints of the ice cream until 14 August through Street Roots webstore. Their goodies will then be available for collection from 3-11 September at What’s The Scoop. Each pint costs $8 and 50% of proceeds will go to Street Roots. The five available flavours include: Brown Butter Almond Brittle; Oregon Blackberry; Thrilla in Vanilla and a Vegan Chocolate Sorbet. The fifth is a new flavour created exclusively for Street Roots. ‘Street Roots’ coffee, chocolate & smoked almond ice cream was trialed at an party for vendors (pictures below) – and received a resounding thumbs-up. “The ice cream is $8 a pint – which is out of the price range of our vendors. 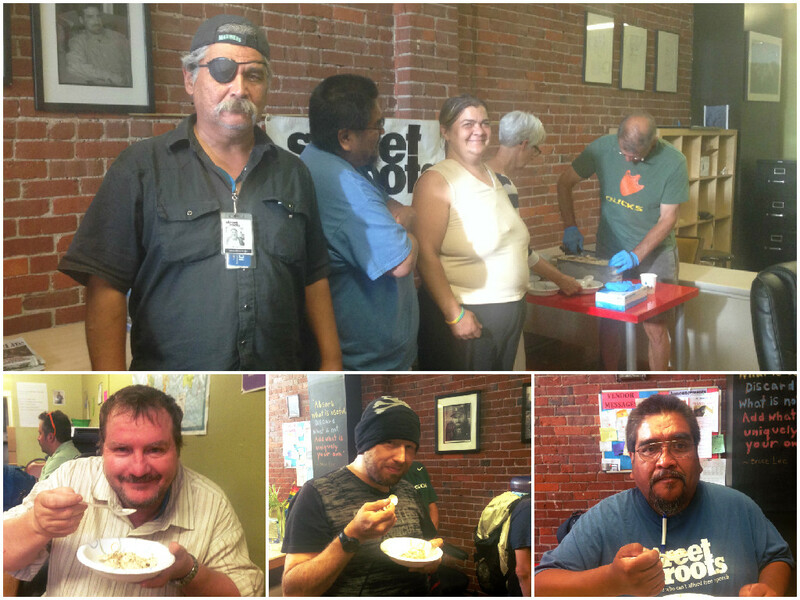 So to kick off the sale we got a batch of the Street Roots flavour and had an ice cream party,” explains Sarah.